Singapore Alternatives: Why do I support Bernie Sanders? Some of my close friends have been asking me why do I support Bernie Sanders. Despite the fact that chances of Bernie getting nominated as Democrat Presidential Candidate is almost "Impossible" and even if he wins the elections and become President of USA, he won't be able to deliver fully what he has promised during this campaign, I will still support him. Bernie Sanders is a self-professed Democratic Socialist but in my view, he is just a little bit left from the centre and not too "socialist" in any sense. However, no matter what the outcome may be, his campaign has raised a lot of contemporary issues which were somewhat central and fundamental to the core of belief of Democratic Socialism. The ill effect of unchecked capitalism resulting in the widening wealth and income gap which in turn causing the phenomenon shrinking middle class was predicted by the socialist theorists century ago. It will result in the total collapse of the social-political-economic system and eventually resulting in class struggles that will run up to a "revolution". This, I believe, is the basis of communist revolutions. Democratic Socialism aims to mitigate the ills of both sides or the extremes of the political spectrum. Responsible capitalistic market regulated by social morals and justice for fair wages and profits to both workers and capital owners. Bernie Sanders is raising the most relevant problems of ultra-capitalism of contemporary economic settings which is making the strongest case for the core values of Democratic Socialism to be implemented to this current system. He has used the word ”revolution" in his many speeches and he is spot on. We need a revolutionary change not only to the system but to all the economic players's mindset and thinking, including the capitalists and workers. We need a revolution to re-organize the current system in order to correct its inherent bias due to the asymmetric influence and powers held by the "axis of evil" dominated by capitalists-politicians collaboration. What Bernie Sanders is trying to do is to leverage on his position of his campaign of the presidential race of the world's most powerful nation, to initiate a global public discourse on the ills of ultra-capitalism we are facing as global citizens and reasons for Democratic Socialism to become a world wide movement in order to install sustainable growth and stability to the democratic world. The awakening of the Global consciousness to the ills of ultra-capitalism as well as the extremes of communism is an important process to achieve sustainable world peace, prosperity and stability. 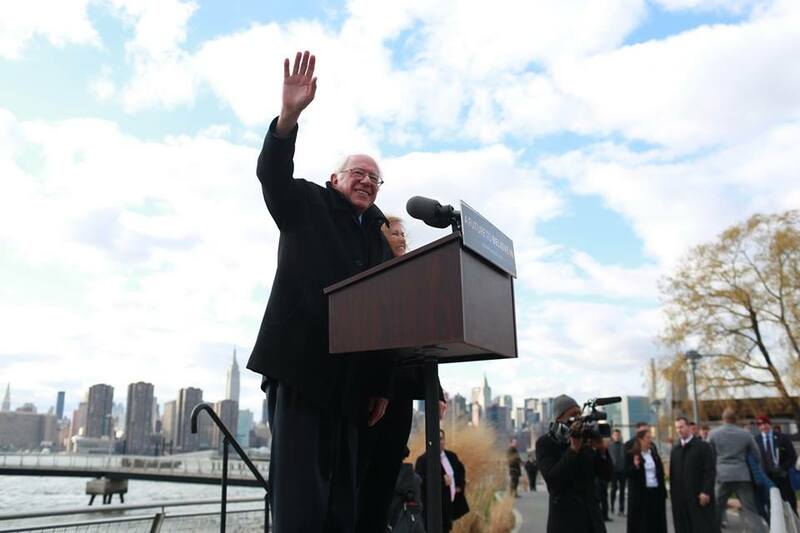 Thus, I am glad that despite of the uphill battle, all odds and impossible victory, Bernie Sanders sticks to his guns and continues to march on, repeating his core messages which are in every sense, relevant not only to US, Wall Street, Federal Reserves but also to the whole world, especially ultra-capitalist systems like Singapore and Hong Kong. As long as he is standing on that podium speaking up against the fundamental flaws of ultra-capitalism, I will continue to give him moral support all the way.